The following is an excerpt from an article in the New York Times. To read the full article, click here. A prominent Republican delivered a direct request toMitt Romney not long ago: He should make a third run for the presidency, not for vanity or redemption, but to answer a higher calling from his faith. I view this as an attempt by the New York Times to be "fair and balanced". "Romneyconverted less than two dozen converts" -- Those that went to or sent their child to a European mission, know how low the numbers can be -- yet ... the NYT fails to draw the conclusion that it is the Holy Spirit that does the converting. Much was overblown with the buzz words of the day, "almost devout faith", "buttressed by his faith", and "animated by his religion", framing the picture to every liberal --- (while not calling the LDS faith a cult) that the church has progressed to a half-step cloer to being a recognized Christian church. They do not activelly even try to attemt to fully pursue any depth and rationally look at any religion. 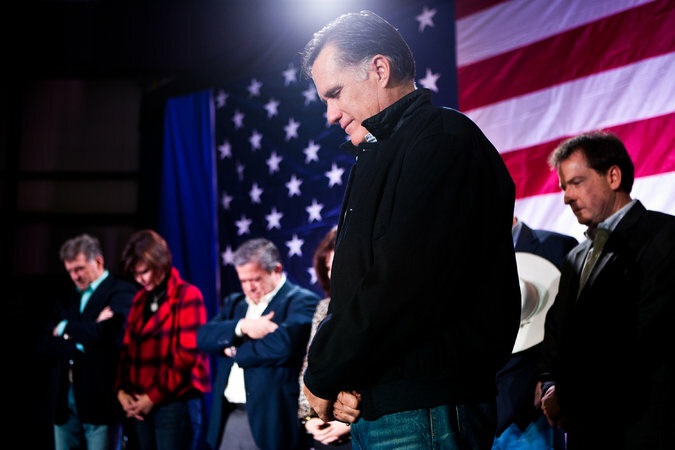 And -- Romneys "persistance .. is a natural extension of his faith. I guess Nixon, Regan, and even "What did I do wrong?" govenor Clintion all came back to become President. The NYT calls attention to a talk Romney had with Gordon B. Hinckley as something "strange", yet Nancy Pelosi meets with the Pope and it is heralded as front page news. David Hall's comments are very childish, and obviously he has an ulterior agenda. It's McCarthyism all over again. Fortunately, Abe Lincoln didn't give up simply because he didn't win elections the first round; and, Hall should be praying that we get someone in there with some common sense, the ability to work across the aisle and moral sense of duty. By the way, Romney said he believes that some global warming is man made, but he wouldn't throw a lot of money at it. This is obviously the course of action to take---and should satisfy everyone except the most radical on both sides.